Since the time it appeared, the Barbie doll has been both the one who sets the trends and the one who embodies them. Quite recently we could observe the appearance of dolls with more realistic proportions and a different tone of skin. 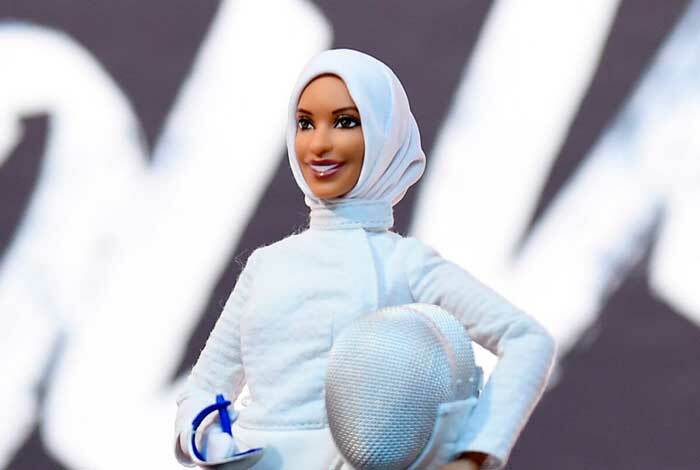 But the jubilee 10th doll in the Shero series was absolutely revolutionary by the standards of Barbie dolls – it was a dark-skinned fencer wearing hijab! The Shero series includes the dolls that represent women who have become real heroines in modern history. 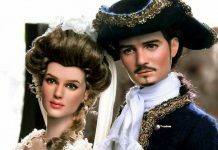 In modern society, there appear accusations against the creators of dolls, blaming them for imposing unrealistic standards: the doll is either too beautiful or too thin, too tall or too stylish. In general, it is too unlike most ordinary girls who play with these dolls. On the other hand, the original task of the Barbie doll was to show not only and not so much what beautiful girls can look like but to enable children to try out different professions on these dolls (and thus mentally try them out on themselves). For the time of its existence, Barbie was a doctor, a pilot, an astronaut, and now she tried being a fencer. The prototype of the new doll was Ibtihaj Muhammad, who took part in the Olympics in Brazil for the US team. At the competition, Ibtihaj invariably appeared in a veil, and this is how the new Barbie was created – this doll is wearing a hijab. This is a pretty decisive turn in the history of the famous brand. Ibtihaj is very happy and proud that the girls wearing a hijab or those not wearing it both have the opportunity to play with a Barbie in a veil. Indeed, the more diverse the doll, the more inspiring and interesting the game can be, and more exciting are the stories that children can come up with and implement during the game. The prototype for the very first doll from the Shero series was the young actress Zendaya, who appeared at the Oscar ceremony with dreadlocks on her head, provoking a whole flurry of criticism from the so-called “fashion police.” The women who became prototypes of this special Barbie included ballerina Misty Copeland, filmmaker Ava DuVernay, and others. Previously, the ninth Barbie doll from the Shero series was a doll, inspired by the plus-size model Ashley Graham. 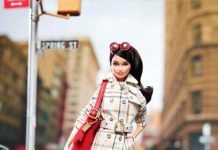 According to the creators of Barbie, to become the heroine of the next Barbie, a woman must destroy the existing rules and become an inspiration for other women. Previous articleHow to Stop Buying Things and Start Saving Money?